​"I don't like spiders...they give me the shivers." Olivia shudders to prove her point. 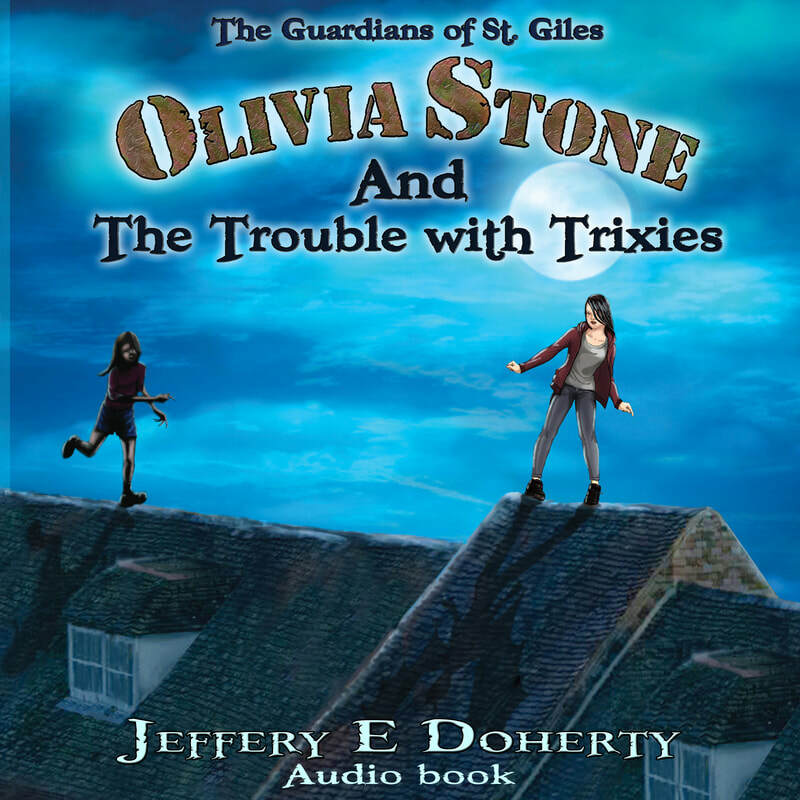 This book is a children's junior fantasy novel full of magic, menace, humour and some very unlikely heroes. It is a story about friendship and finding your courage. The Grotesques are statue-trapped and have been taken down from the roof of St. Giles Old Priory School. With the Guardians gone, there is no one left to protect Haven from the monsters. Can a broken young girl help a guilt-ridden grotesque to stop the monsters? Dreamweavers feed on the dread and despair of their victims. To help Yip stop their nightmarish infestation of the city, Olivia has to prowl dark streets, brave the boy's toilet and break into the old Haven Asylum. Olivia is twelve years old, scarred and slowly turning to stone. To survive, she needs to discover the power hidden within her. Yip is no larger than a house-cat, the smallest living grotesque ever created and the cause of Olivia's crippling injuries. Together, they are the the last guardians, the city's only defense.